Welcome to Not Delia’s big chocolate fest, featuring Master Chocolatier Laurent Bernard of The Chocolate Factory Online! We’ll be posting something about chocolate every day this month. We’ll introduce Laurent to you and let you see behind the scenes at Laurent’s Café and Chocolate Bar in Singapore. We’ll be telling you about some of the health benefits of chocolate (I even had a chocolate spa treatment!) We’ll be looking at the history of chocolate and how it’s made, including our visit to a chocolate factory, and writing about some of the major chocolate producers, such as Cadbury’s. 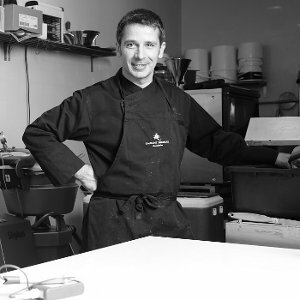 We’ll also feature luxury chocolate makers, as well as the artisans like Laurent who craft hand-made luxury chocolates. Along with all that we’ll be bringing you chocolate news and trivia quizzes – oh yes, and the odd recipe too!